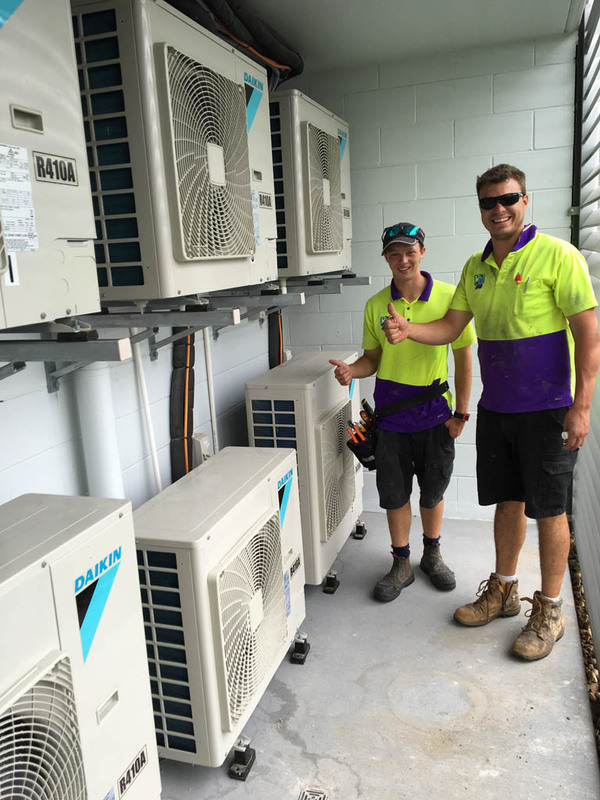 The Cool Shop on the Sunshine Coast has more than 30 years’ experience delivering professional air conditioning services and top-quality products. We have been showing we care about our customers’ choices since 1985, recommending and delivering only the best Sunshine Coast air conditioning solutions. Although we are based in Marcoola, The Cool Shop supplies, installs, services and repairs air conditioning and underfloor heating systems right across the beautiful Sunshine Coast. We welcome customers from across the region, including Maroochydore, Noosa, Alexandra Headland, Mooloolaba and Caloundra. At The Cool Shop we can work on commercial and under-construction projects with building companies, large and small. Our commercial Sunshine Coast air conditioning systems, and solutions, are high quality and suited to larger projects. We have delivered great results on significant projects, such as Verve on Cotton Tree apartment complex, installing Daikin ducted air conditioning in all apartments from the ground floor to penthouses. Although we’re known as The Cool Shop, we’re also the Sunshine Coast’s destination for keeping you warm. We deal in Coldbuster under tile heating systems, while our air conditioning capacity includes multi split systems, Daikin split systems and reverse cycle systems. We also specialise in reverse cycle ducted air conditioning. There is a variety of products and services that we deliver to ensure year-round Sunshine Coast air conditioned comfort. Daikin air conditioning, Toshiba and Advantage Air are among our list of market-leading suppliers. These quality brands have an outstanding reputation and provide flexibility with their array of products. At The Cool Shop, we have a brand and product for your heating or cooling needs. 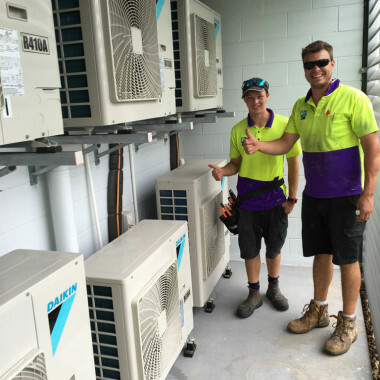 It’s one thing to have the right Sunshine Coast air conditioning system, but with such an important investment you want to be dealing with the best team. The Cool Shop’s qualified tradesmen are experts in the cooling and heating field. We do a professional and meticulous job whether it’s air conditioning sales and installation, or Sunshine Coast air conditioning repairs and servicing. Contact us today for a free, on-site, no-obligation quote, or you can request a quote.